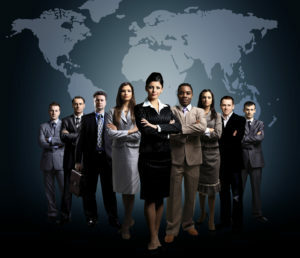 Global Talent Pool or Local Candidates? April 2nd marked the first day the US Government would begin accepting applications for H1-B Visas. For 2019 H1-B hopefuls, the good news is the United States has not lowered the cap on the number of H1-B’s it will allow. The bad news is, they’re going to be harder to get. In addition to the typical hurdles applicants face every year, this year promises to be even more challenging with intense scrutiny and an increase of application-related paperwork. Not to mention other restrictions that may or may not be on the horizon. Any time a business system changes dramatically or offers so much uncertainty, as it has with the amped-up H1-B application process, it’s a good practice to have a Plan B. If you’ve previously leveraged H1-B applicants as part of your candidate pool, you may be wondering how the changes will impact your company. Many of the effects the redesigned H1-B application process will have on US employers likely won’t be measurable for a few years. You don’t have to wait, and frankly, you shouldn’t wait for any possible fallout. Instead, you can create a plan today to help offset any potential candidate-deficits by examining the way you source and hone local talent. Below are some suggestions to get you started and give you a jumping off point. We’d strongly encourage you to brainstorm what might work best for your company and budget. If you decide you’d like more hands-on assistance recruiting top local candidates, you can always give us a call. It’s no secret that people tend to hang out with their intellectual equals. We like people who are like us. This can work to your advantage. Take stock of the top talent you already have. Let them know of the positions you’re trying to fill and ask them if they know of any potential candidates. You might even consider creating a referral program that gives employees more incentive to connect you with the top talent they know (usually contingent on hiring). Too many firms opt-out of community engagement. Chances are, you can do more. Ask your network what they do locally or connect with your city government and find out what they need. Most of the time there are a variety of ways to get involved from sponsorships and promotion of local events to hands-on volunteer work. All of them are worthwhile, and all of them will put you in front of more local candidates than you’re getting in front of now. Don’t forget, word of mouth is some of the best marketing you can get. You might be surprised to find out how many people want to live where your company is located. Expanding your active search to a regional level will expand your candidate pool and could help you find the ideal candidate who may have missed your open position if it wasn’t advertised to them directly. For regional candidates, it’s good practice to include all the information you can about the open positions and company and also add in soft details like community features, cost of living, and things to do. The idea is to get them thinking about how they could work and live where you are. Redesigning onboarding and internal training opportunities can seem overwhelming. But the rewards are sweet. You might not have control over the world around you, but you can control what goes on inside your company, and that’s where training comes in. The likelihood that even your top candidate knows everything you need them to know is slim. The right combination of onboarding and training can get them (and your other employees) where you need them to be faster and more consistently. Plus, you’ll be able to track and measure the outcomes because you’re in control. This is more than a response to potential H1-B Visa restrictions; it’s a long-term solution to the skills gap affecting your entire talent pool. Think of anyone and everyone you know. What kind of connections do you have that may lead to an untapped candidate pool? Think of the associations you belong to, industry events you attend, industry partners you’ve built relationships with. These could hold the key to your next super-star hire. Create a system for reaching out and following up with your network contacts. Let them know more about what you do, why you’re a great company to work for, what’s happening at your company (periodically) and what kind of candidates you’re keeping an eye out for. Want to fast-track your access to top local talent? Contact our team to find out how we can help you streamline your recruitment process and find the best of the best.